As you know (yes, yes you do) Brendon is a snake wrestling hero of chickens across this fine nation. You might also know that Brendon’s email address here has been, for many years, admin@tailored.com.au. But that just doesn’t seem to fit the man anymore. It’s a like a guy wearing a sarong – you can do it, but it just seems a bit weird. He clearly needs a more manly email address ……..cough. 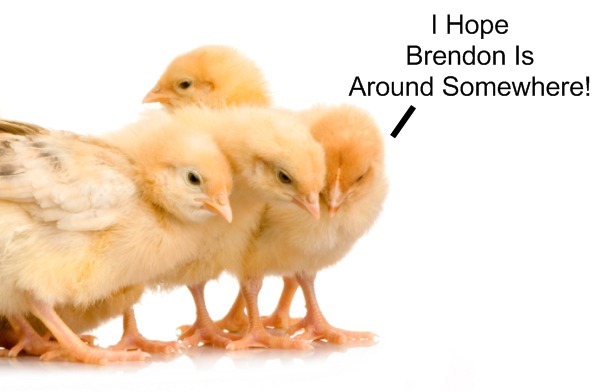 It’s okay little chickens, Brendon will save you! Now this newsletter has a point (unlike the last one about the snake!). And the point is this. Your email address says something about you and/or your business. And they demonstrate those places think about the little things. So they very positively impact on the perception of those business. Everything about your business says something about how you do business. So it helps brand you, get the attention of your market and builds your business. Little things matter and they matter a lot. Something as simple as an email address can have a big impact.